When I started losing weight in 2016, it was HARD. I was hungry all the time because I constricted myself to 1200 calories a day on Jenny Craig for a month straight. I lost 19 pounds in a little under a month which is crazy and not realistic at all, but I walked 9 miles at work almost every single day. About two months later, I gained 10 pounds back from being on vacation and not caring anymore. I gave up. Then I decided I needed to snap out of it and not go backward and start moving forward. I started doing Jenny Craig again for about two months and lost 18 pounds. Today, I work out ALL the time and pick healthier options wherever I go. But I do have cheat days because no one is perfect. I didn’t grow up with my parents telling me to eat my vegetables or to make sure I have a salad with every meal. I don’t blame my parents because no one is perfect and the way I grew up made me the person I am today. I wouldn’t have gone through what I went through with losing weight and working out hours on end every day pushing myself to be the best version of myself if it wasn’t for that. I wouldn't change the way I grew up for anything. I had takeout for dinner pretty almost every day of the week, if not five out of the seven days. I came home from elementary school and junior high every day and sat on the couch while I ate a bag of chips and had a couple of cans of soda. That was NORMAL for me. That’s how I grew up and what I was used to. I was young, and I thought, “this food is so good, I love eating it every day.” I didn’t think about calories, sugar or anything. I wasn't told “no” when I asked for candy or ice cream or when to stop eating it. It caught up with me when I turned 17 or 18 years old. I wasn’t a kid anymore; my metabolism wasn’t the same, but I still did the same things every day because that’s what I knew. I worked out once in awhile but never felt completely passionate about it as I do now. All I can say is I DON’T blame anyone. I can say I blame myself, but I try not to. I can’t blame my parents because I wouldn’t trade my parents for the world. Even today I struggle with binge eating and gorging on “bad” food when I’m depressed or just bored. But, it brings me back to my younger days and maybe that’s where my comfort lies but know everything you go through has a purpose and gets you to where you are supposed to be. I’m so much stronger mentally and physically now because of my weight loss and healthy lifestyle transformation. I’m not only proud of myself, but I know that I worked hard for it. I didn’t just have a naturally slim, chiseled body my whole life but I’m not upset about it because life is all about the journey and it just gets better and better as you go. Believe in yourself. Losing weight and changing bad habits is NEVER easy for anyone. It was a roller coaster ride for me, but in the end, I am so much happier and a lot more confident inside and out. All you need is a little dedication and perseverance, and it will change your life forever. 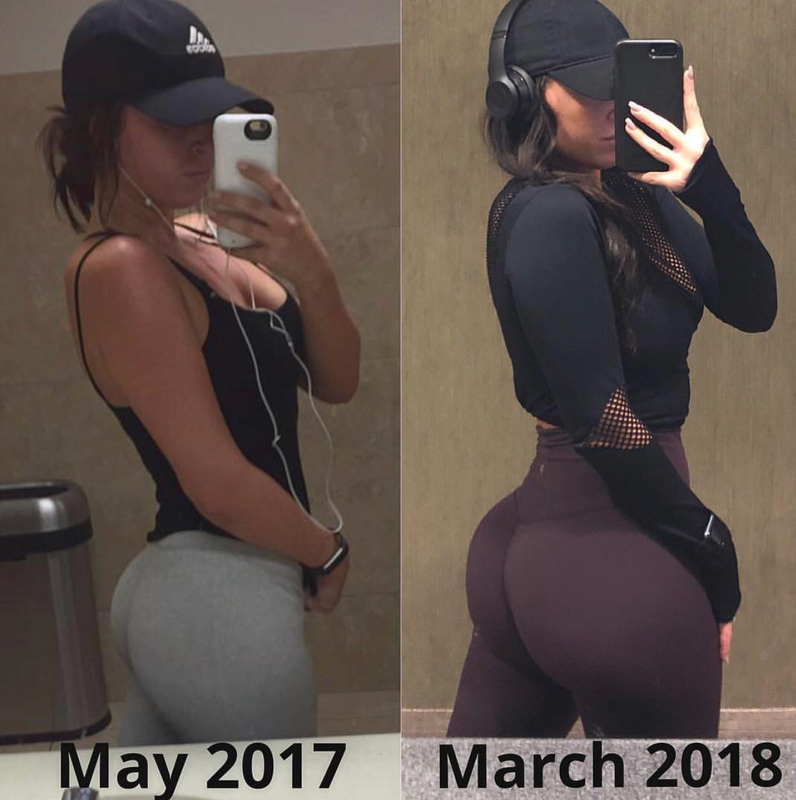 This booty building and toning plan is a 4 week guide to bigger and more defined glutes! 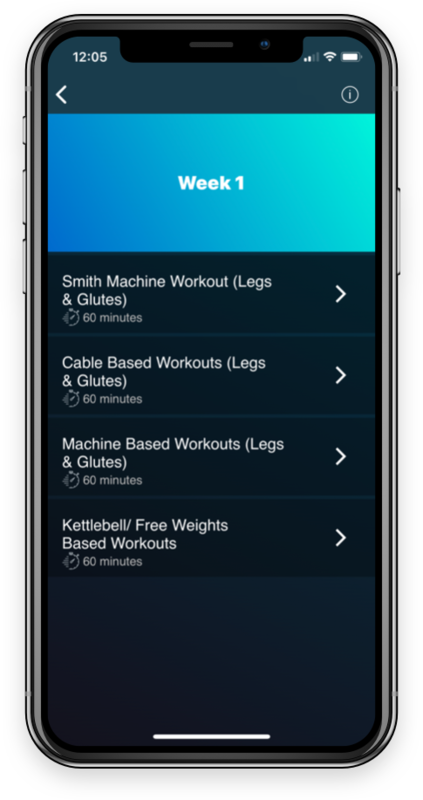 You will have 4 different sections of workouts, a smith machine based section, a machine based section, a cable based section and lastly, a free weight based section. I separate them to make it more organized for you! This is a gym based plan, designed for men and women! You will be doing the specific section I give you 3 days a week! I also will be adding in what I do for my cardio routine everyday so you can follow along with that as well on your days you aren’t training your lower body! These are all workouts I have been and still are doing that have transformed me into what I am today! I want you to become the best version of yourself and feel confident inside and out! Let’s get you the booty of your dreams! Hey babes! I know it can be hard to make it to the gym or even to afford a membership so I’m doing this at home booty guide for YOU! It’s efficient for anyone who can’t make it to a gym or just wants to workout in the comfort of their own home! Each week you will do 4 days of one section of workouts leaving a rest day in between to let your muscles relax and repair! And then switch to the next set of workouts for your next week! This guide is for 4 weeks but can be used however long you need! The purpose of this guide is to be convenient for you but also get your booty in shape! I am using bands but you don’t necessarily have to. Yes, they add more of a burn and I do recommend using them if you have some or don’t mind spending a little extra money! I will attach a link below to MyPlayFit.me with my discount code to my favourite bands that I personally use for my workouts! That’s it!! Simple and easy!